Content vs. Advertising - Is There Really A Debate? Content vs. Advertising – Is There Really A Debate? Recording last night’s BeanCast, Altruism or Consumerism, hosted by the talented Bob Knorpp brought up the topic of Content Marketing and whether paid placement of content is just advertising – among many other topics from Dove to Amazon Dash. While I agree with what Mitch says in the post in terms of brands failing to create engaging, share-worthy and conversation-starting content, I’m not on board with the pay to play statement. Whether you call it content or advertising, the purpose of media and information created for marketing is to attract, engage and persuade people to take action – purchase, engage, advocate. Either these efforts are effective at accomplishing business objectives related to a target audience, or not. 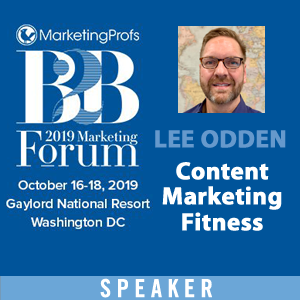 The big disconnect in discussions about topics like content marketing vs. advertising is that they almost always occur through a siloed perspective. For example, content marketing vs. native advertising. 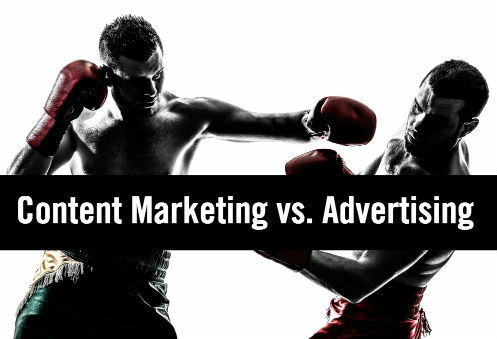 Content or ad is like saying, left hook vs. right cross. To win the fight, you’ll probably need both. Customers are more sophisticated in how they discover and consume information than ever and the expectations to engage with brands is also varied It’s not just about offers and transactions anymore. Brands need to meet those customer needs with content that solves an information problem, leading the customer to the next step in the buying experience. Imagine the customer journey: It might mean initial discovery occurs through reading sponsored content on a magazine website followed by a search on Google for the topic where the same brand is running ads and ranks organically. Consumption leads to action. 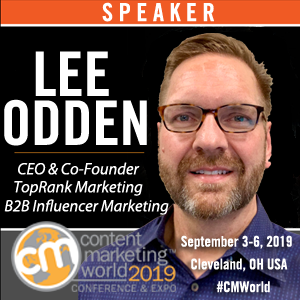 Discovery and consumption of owned content through search can lead to an action like a trial, content download, registration for an event or subscription to more useful content. At any time during this multi-touch experience across owned, earned, paid and social media, the buyer is presented with an opportunity to transact. Compare that to simply producing owned content hoping that buyers will be inspired by that information and experience alone. Or assuming that ads or sponsored content alone will provide the marketing knockout you’re looking for. Content Marketing as useful, relevant information that inspires action is successful when implemented from the perspective of the buyer. Marketers have to consider: What content experiences can the brand create through owned, earned, paid and shared media that will attract, engage and inspire buyers to take action? “Ad” does not automatically mean “crap”. Likewise, “content” does not automatically mean “success”. Whether it’s content marketing, native advertising or brand journalism, effectiveness is directly related to the relevance and value created for buyers. Do they involve useful content? Do they include ads? Yes and yes! Combination, knock out. 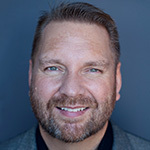 At the end of his post, Mitch asks readers a great question: Write down the last 2-5 pieces of content that really connected with you. Now look at the last 2-5 pieces of content your brand has published. What looks like an ad and what looks like useful content? I think that’s a great exercise for both brands and their customers, not just marketers. Stay customer focused, vs. focused on the disciplines the agency or internal marketing team are most comfortable with. What do you think? Is content promoted through paid placement no longer content marketing, but advertising? Does it matter? Agree that you should/can pay to make your great content get more distribution and impressions. Still, I feel like most marketers pay instead of letting the content do the heavy lifting. @mitchjoel:disqus I think that’s the case with brands that only understand content and media as a function of advertising. That said, “build it and they will come” is a tough sell in a competitive category. It’s a balance based on the brand/audience/goals mix. Sadly, most marketers aren’t managing it that way. Do you think it might be largely because many of the corporate cultures still think in traditional marketing/advertising paradigms instead of thinking of engaging and holding a conversation with the readers? I think that it falls in line alot with how companies are trying to lead by design and buy in a design group, but they don’t change the culture to support the concept. It isn’t just plug n play. A culture needs to grow and morph around it. I think most companies are after conversations but as a proxy to generating revenue, since that’s what pays the bills. I do think there’s some legacy thinking in terms of advertising that gets applied to all marketing vs. making a distinction between organic and paid media, aka content and ads. These days, the lines are getting pretty blurry between the two. “Ad” does not automatically mean “crap”. Likewise, “content” does not automatically mean “success”. Congratulations and greetings from Guatemala. Paid content is NOT content marketing, it’s advertising. Period. Even if its content is superior to the articles around it. To say there’s no difference is to cross ethical and legal lines. The purpose of advertising is to sell–your company, your products, your services. The purpose of content is to inform. 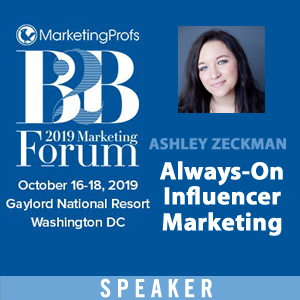 Because 60% of readers don’t know when they’re reading native advertising, the FTC (Federal Trade Commission) has strict regulations akin to advertorials in print publications, which state you must inform readers they are reading an ad, not content. Otherwise it’s considered deceptive, and the advertiser can be fined. So yes, legally and ethically it matters. I don’t think anyone is saying paid content doesn’t need to be distinguished from editorial – obviously there are legal and ethical issues with that. 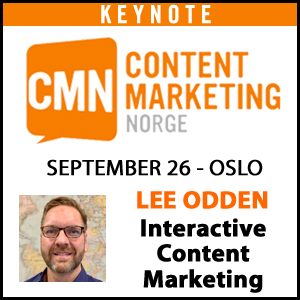 But where is it a mandate that paid content cannot be part of a content marketing program? Virtually every brand relies on paid amplification of their organic content to reach audiences. Paying for placement to reach new editorial audiences (with the appropriate disclosure) is no different. From what I’m told, a lot of advertisers in the days of David Oglivy saw what they wrote as both an ad and content. Thanks for your thought provoking blog post! I agree that consumers are more sophisticated in how they discover, consume information and expect to engage with brands. Having worked in e-commerce for a fashion brand, we often considered how we could leverage our relationships with our consumers on social media and lead them back to explore our e-commerce site. We noticed that many of our followers on Instagram would tag us in their own pictures wearing our products. Eventually, we developed a module on our product display pages that would feature images of our followers wearing our products underneath our product photography. We focused on highlighting our Instagram community around each product, which not only helped us further engage with our audience, but also helped our sales.